5th handcart company contained 575 individuals, 145 handcarts, and 8 wagons were in this company when it began its journey from the outfitting post at Iowa City, Iowa. Allred, Redick Newton, Journals, 1852-. "Arrival," Deseret News [Weekly], 3 Dec. 1856, 309. “As I Remember,” Salt Lake Telegram, 31 August 1926, 8. Bailey, Langley A., "Reminiscences", Deseret News, 1 September 1906, 20-21. Barnes, William, Autobiographical sketch [ca. 1890], . Binder, William Lawrence Spicer, Reminiscences [n.d.]. Burton, Robert T., [Journal], in Journal History of The Church of Jesus Christ of Latter-day Saints, 30 Nov. 1856, 54-58. Burton, Robert Taylor to S. S. Jones, Handcart Veterans Association, 9 Nov. 1906. Handcart Veterans Association, Scrapbook, 1906-1914, fd. 2. Clegg, Jonathan, [Report], 18 May 1897, in "Worthy of the Name: The Life and Times of Jonathan Clegg and His Wife Ellen Walmsley Clegg." Clegg, Margaret Ann Griffiths, Autobiographical sketch. Clegg, Margaret Ann Griffiths, Autobiography [ca. 1907], 3-4. Cluff, Harvey Harris, Autobiography and journals, 1868-1912, vol. 1, 18-25. Dobson, Tom, [Reminiscences], in "Aged Veterans of the Handcarts," Deseret Evening News , 4 Oct. 1907, 7. "Emigration to Utah," The Mormon, 13 Sept. 1856, 2. Frank [pseud. ], "A Night Adventure on the Plains," Juvenile Instructor, 1 Jan. 1888, 12-14. Fullmer, Jane Eleanor Griffiths, Autobiography [ca. 1928]. Fullmer, Jane Griffiths, [Reminiscence], in Ella Campbell, An Early Pioneer History and Reminiscences, 1914, 3. Giles, Aaron Barnet, to Barnet Moses Giles , 3 Dec. 1856, in Brigham Young, Office Files 1832-1878, box 25, fd. 16. Giles, Barnet Moses, to Brigham Young, Jan. 26, 1857, in Brigham Young, Office Files 1832-1878, box 25, fd. 16. Goodaker, Lydia Franklin, Autobiography, [ca. 1927], 6-7. Grant, Jedediah M., "Discourse," Deseret News [Weekly], 12 Nov. 1856, 284. Hanks, Ephraim, "Ephraim K. Hanks' Narrative," in Andrew Jenson, "Church Emigration," Contributor , 14 (Mar. 1893): 202-5. Housley, George Frederick, [Reminiscences], in Life histories of George Frederick Housley and Maria Christina Jacobsen Housley. Hunter, Lola Simmons, History of Joseph Marcellus Simmons. J[aques], J[ohn], "Some Reminiscences," Salt Lake Daily Herald , 1 Dec. 1878, 1. J[aques], J[ohn], "Some Reminiscences," Salt Lake Daily Herald, 12 Jan. 1879, 1. J[aques], J[ohn], "Some Reminiscences," Salt Lake Daily Herald , 19 Jan. 1879, 1. J[aques], J[ohn], "Some Reminiscences," Salt Lake Daily Herald , 22 Dec. 1878, 1. J[aques], J[ohn], "Some Reminiscences," Salt Lake Daily Herald , 5 Jan. 1879, 1. Jackson, Aaron, [Reminiscences], in "Utah Pioneer Biographies," 44 vols., 15:2-7. Jaques, J[ohn]., [Letter], Latter-day Saints' Millennial Star, 18 Apr. 1857, 254-55. Jaques, John, [Diary], in Stella Jaques Bell, Life History and Writings of John Jaques , 118-22, 129, 134-37, 140-41, 143-44, 150. Jaques, John, [Minutes of meeting at Devil's Gate, 9 November 1856], in John Jaques, Collection, 1846-1920. Jones, Albert, [Reminiscences], Deseret Evening News, 1 September 1906, 20. Jones, Albert, Address, Handcart Veterans Association, 4 Oct. 1906. Handcart Veterans Association, Scrapbook, 1906-1914, fd 1. Jones, Albert, Autobiography, 28-41, in Albert Jones, Diaries. Jones, Albert, Autobiography, in Mormon biographical sketches collection [ca. 1900-1975], reel 5, box 6, fd. 5, item 1. Jones, Albert William, Notes [ca. 1918]. Jones, Dan, Reminiscences, in Handcart Stories, 20-22. Jones, Dan W., [Reminiscences], in Heart Throbs of the West , 12 vols. [1939-51], 6:368-69. Jones, Samuel S., [Reminiscences], Deseret Evening News, 1 Sept. 1906, 20. Kingsford, Elizabeth Horrocks Jackson, [Reminiscences], in "Utah Pioneer Biographies," 44 vols., 17:92-103. Kingsford, Elizabeth Horrocks Jackson, Autobiographical sketch [n.d.], 2-6. Kirkman, John. Sketch of the Life of Mary Lawson Kirkman. "Latest from Utah. Death of an Eminent Mormon Saint. Hand-Cart Trains in a Wretched Condition," New York Semi-Weekly Tribune , 27 Feb. 1857. Loader, Patience, [Reminiscences], in Kenneth W. Godfrey, Audrey M. Godfrey, and Jill Mulvay Derr, ed., Women's Voices: An Untold History of the Latter-day Saints, 1830-1900 , 224-41. "Lost in G. S. L. City," Deseret News [Weekly], 4 Feb. 1857, 384. Loynd, James, The Martin Handcart Company, 1926. "Margaret A. Clegg's Statement," Wasatch Wave, 28 September 1906, [4.]. Mattinson, Robert, Reminiscences, in Frances Rushton Hutchens, Life stories of my ancestors 1996, 1-3. Openshaw, Samuel, Diary, 1856 May-Nov., 3-10. Platt, Benjamin, Reminiscences, 1899-1905, 2-5. Reese, James, to Bro. Taylor, 29 July 1856, The Mormon, 16 Aug. 1856, 2. "Remarks," Deseret News [Weekly], 15 Oct. 1856, 252. [Report on the Rescue of the Martin Company], in "History of Brigham Young," 11 Nov. 1856, 983-86. Rhead, Edward Henry, Autobiographical sketch, in 27th Quorum, Biographies, 1850-1858, vol. 1, n.p., in Seventies Quorum, Records, 1844-1975, reel 83. Rhead, Josiah, [Excerpts from record book], in Edward H. Rhead, Journal and record book, 4. Richards, Franklin D., "Discourse," Deseret News [Weekly], 15 Oct. 1856, 252-53. Rogerson, Josiah, "Martin's Handcart Company, 1856," Salt Lake Herald, 13 Oct. 1907, 5. Rogerson, Josiah, "Martin's Handcart Company, 1856 [No. 9]," Salt Lake Herald, 1 December 1907. Rogerson, Josiah, Preface to Martin's Handcart Company Narrative, Feb. 10, 1908, in Josiah Rogerson papers, crica 1895-1914, fd. 2. Rogerson, Josiah, Reminiscence , 22-28. Scribo [pseud. ], "An Item of Hand Cart Experience," Juvenile Instructor, 15 June 1902, 365-67. Sessions, Sarah Crossley. Autobiographical Sketch. Shoshone Mission journal, 1855 May-1857 October, 41-60. Southwell, John William, Autobiographical sketch 1912 Sept. 28. [Springfield] Daily Illinois State Register , 28 Feb. 1857, 3. "Story of Nellie Pucell Unthank," in Heart Throbs of the West , 12 vols. [1939-51], 9:419. Strong, Alice Walsh, Autobiographical sketch, in Josiah Rogerson, Papers [ca. 1895-1914], fd. 2. 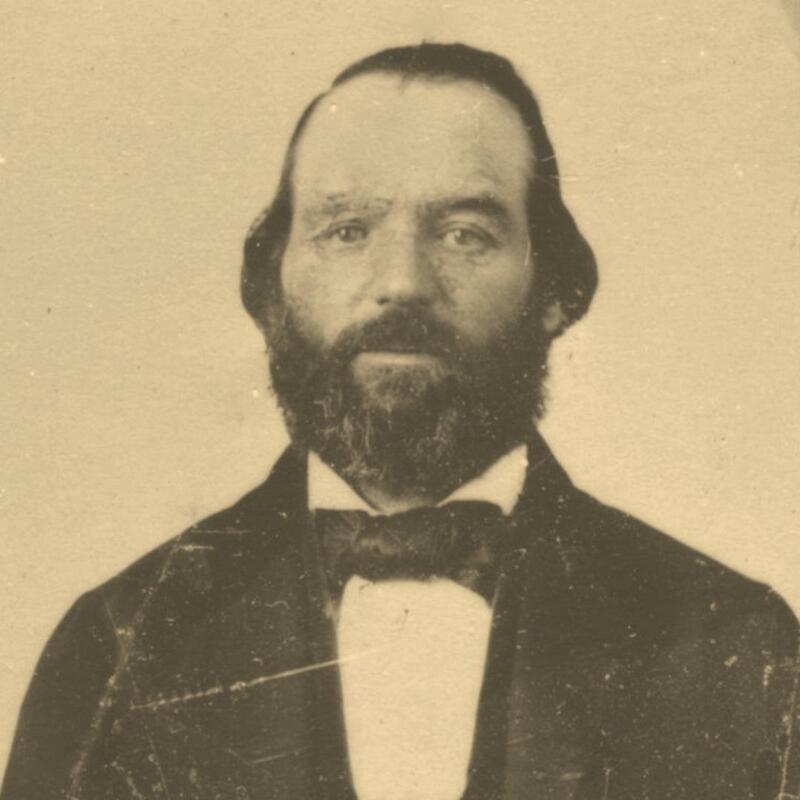 Teeples, Nicholus Gourley, [Interview], in "Utah Pioneer Biographies," 44 vols., 28:95-101, 105-6. Twelves, Orson, Early history of Charles Twelves and family, in Library of Congress, Collection of Mormon diaries [1935-1938], reel 9, item 4, 1. Tyler, Daniel, [Autobiographical sketch], in Autobiographical accounts by Beaver residents [ca. 1879], 51-52. Wadsworth, Joseph Warren, [Autobiography], in Abiah Wadsworth: His Wives and Family, 1810-1979 , 46. Wardle, Isaac John, Autobiographical sketch [n.d.], . Webster, Francis, Reminiscences [ca. 1848-1881], 9. Whitear, Eli to Albert Jones, Handcart Veterans Association, 24 Sep. 1907. Handcart Veterans Association, Scrapbook, 1906-1914, fd 3. Woodward, William, Journal, in Utah State Historical Society Cache Valley Chapter, Historical resource materials for Cache Valley, Utah-Idaho, 1955-1956, reel 4, item 2e.